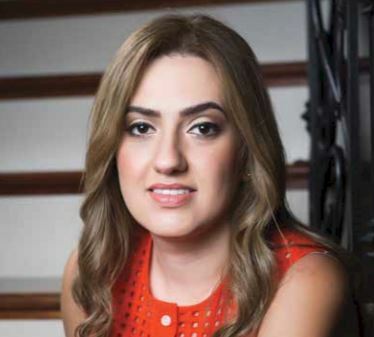 Home HEALTH DOCTOR PROFILES Dr. Rana Abusoufeh, M.D. Epilepsy is a chronic neurological disorder in which a person has repeated seizures (a sudden surge of electrical activity in the brain). The seizures in epilepsy may be related to a brain injury or a family tendency, but often the cause is completely unknown. Currently, it is estimated that 3.4 million adults, and more than 470,000 children and adolescents in the United States live with epilepsy. Each year there are approximately 150,000 people diagnosed with epilepsy. The cause is unknown for about half of those with epilepsy. Some people with no known cause of epilepsy may have a genetic form of epilepsy. Young children may be born with a structural change in an area of the brain that gives rise to seizures. Once a person reaches middle age, strokes, tumors and injuries become more frequent and may increase seizures. Conditions such as Alzheimer’s disease or other conditions that affect brain functions may also cause seizures. About 6 out of 10 people diagnosed with epilepsy can become seizure free within a few years with proper treatment. Many of these people will never have any more seizures. For the rest of the people, some will have occasional breakthrough seizures or side effects of medicines and others will have uncontrolled seizures. The most common approach to treating the epilepsies is to prescribe anti-seizure drugs. Deciding on which drug to prescribe, and at what dosage, depends on multiple factors, including seizure type, lifestyle and age, seizure frequency, drug side effects, medicines for other conditions and whether a woman is, or will become, pregnant. In addition to VNS, which can prevent seizures by sending regular, mild pulses of electrical energy to the brain, there is RNS (responsive neurostimulation). RNS features a tiny device, implanted under your scalp that can be programmed to anticipate a seizure and collect information on the cause and prevention of seizures. If seizures persist despite the person having tried at least two appropriately chosen and well-tolerated medications, surgery may be recommended. At the Tulane Neuroscience Center, the neurosurgeons are highly skilled in resective surgery and have helped thousands of people.